Hurricane Harvey has cut a path of destruction through Texas unlike anything the nation has ever seen. This category 4 hurricane assaulted the state with winds blowing at 130 miles per hour; a storm surge spanning hundreds of miles, and record-setting rainfall that has submerged countless homes beneath up to 30 inches of water. As you read this, tens of thousands of people are squeezing into shelters to wait out Harvey because there’s little else they can do. They’ve no choice but to abandon their homes to the onslaught of seemingly never-ending rain and ever-rising floodwaters. The swelling waters also bring with them unwanted surprises in the form of dangerous wildlife such as alligators and snakes, all of which are also seeking higher ground. Meanwhile, thousands more are waiting to be rescued, though some are taking the initiative and hastening their rescue attempts. Neither boat nor home are safe from the ripple effects of Harvey’s wrath, especially those in Houston and Corpus Christi. According to TheAtlantic.com, 119,000 places in Houston are covered by the National Flood Insurance Program‘s (NFIP) flood insurance policies despite the city having well over 800,000 occupied housing units. Corpus Christi shows more of the same: 115,00 occupied housing units and only 19,138 insured buildings. This means that repairing or replacing the uninsured homes damaged by Harvey will be a near impossibility for most of the homeowners. Those who were prudent enough to get flood insurance won’t be in the clear, however. The NFIP has been swamped in debt for decades and has been on the receiving end of allegations claiming that the program has been shortchanging homeowners all this time. Essentially, this means that there’s no guarantee that these people will receive the help they require to reconstruct their homes. So regardless of whether or not a home was covered by insurance before Harvey tore it down, the homeowners might not be able to rebuild it, good as new, in the immediate future. President Donald Trump has called Harvey a “once in 500 year flood.” Texas Gov. 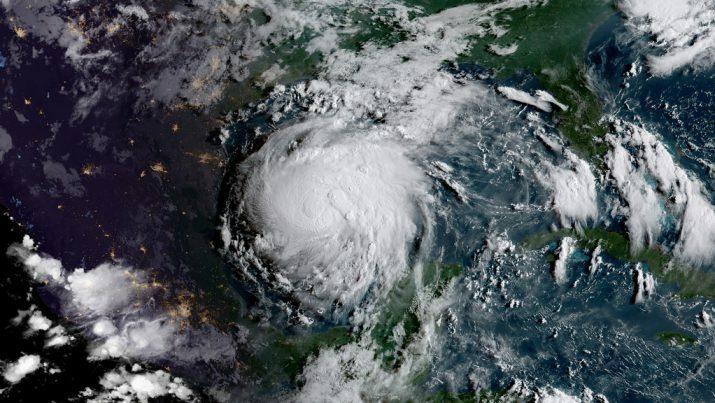 Greg Abbot has declared the tropical cyclone “one of the largest disasters America has ever faced,” and added that the state would not be recovering anytime soon. Brock Long, Administrator of the Federal Emergency Management Agency (FEMA), dubbed Harvey a “landmark event for Texas.” Long then stated that FEMA will most likely be in the state for years to come due to the recovery housing efforts being one of the largest in the country, and that community involvement would be needed more than ever. “Donate your money. Figure out how you can get involved as we help Texas find a new normal,” Long advised. The Health Ranger Store is doing just that. For the next 48 hours, we’ll be holding the Hurricane Harvey Fundraiser, wherein 50 percent of all proceeds from our sales will be going towards helping the victims of Harvey. Whether you buy a small item like our 100 percent Sandalwood Seed Oil or something bigger like our Ranger Buckets, half of your purchase is going to help all of the recovery efforts being made now. Every little bit can and will go a long way, so make a difference in the lives of those struggling to get through this.